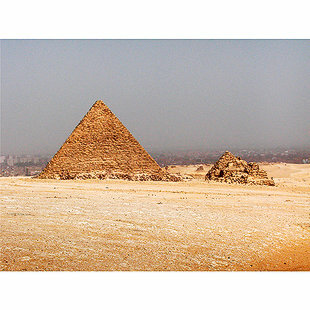 The Pyramid of Menkaure is the smallest one on the plateau at Giza and is 66 meters or 216 feet high. It is built on the edge of the sloping plateau. 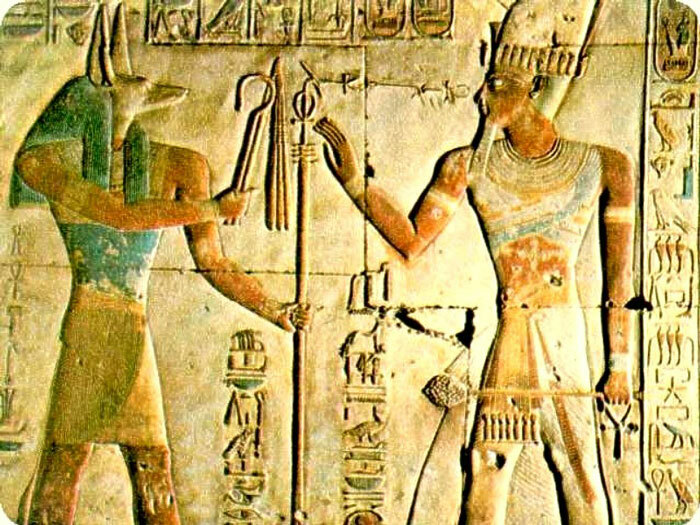 This pyramid was finished by King Shepseskaf, who was the successor of King Menkaure. The base was originally 108.5 meters or 355.8 feet square. Due to quarrying of the stone for other purposes, it is now 102.2 meters or 335.2 feet by 104.6 meters or 343.1 feet long and rises at an angle of 51º. The lower 16 courses were encased in rose granite blocks. The burial chamber was cut in the bedrock beneath the pyramid and could be reached from the northern entrance along a sloping corridor. A second sloping passage was cut below the first one. The burial chamber was closed by means of three granite portcullises, or blocking stones, which were lowered into vertical slots cut into the walls. The deeper chamber here was used as a storeroom and the other was the burial chamber with a pointed roof. The walls are covered with granite blocks. A fine basalt sarcophagus was originally found in a 41 centimeter or 16 inch-deep recess in the floor. This sarcophagus sank in the sea during transportation to England in AD 1838. The British Museum in London retains the lid of a human-shaped coffin inscribed for King Menkaure, but it is not the original that was found in the burial chamber. The Mortuary, Valley Temples and the causeway were built of brick and poor quality stone.